Yesterday I had acupuncture for the first time. It happened that I met an acupuncturist, Jared West, at Insight Learning and Wellness Center last summer where we were both working at Camp Insight, a holistic day camp. I was teaching Reiki and songwriting, and Jared was doing challenge games with the campers. This summer, he suggested to me that we do a trade. He would give me an acupuncture treatment, and I would give him a Reiki healing. I agreed. 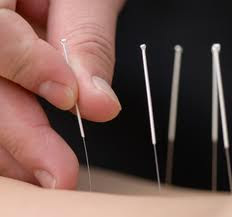 I’ve always been a little curious about acupuncture, and I’m not afraid of needles at all. I’ve also been rather stressed over waiting for registration for many classes I’ve scheduled that are coming up at the start of next week. Enrollment is a little lower than I was anticipating, and my promotional efforts have been huge. So I thought the timing was perfect for a little healing and releasing stress, and this was a great opportunity to try something new. So I talked for a bit with Jared about my feelings and what’s been going on in my life. He was interested and caring. Then I lay on the table and he placed needles in my ears, head, forehead, arms, stomach, and feet. It did not hurt. He put on nice music and told me to just relax, meditate, rest, whatever I wanted to do and he would check on me in five minutes. I decided it would be great to just meditate a bit and take advantage of quiet time. I closed my eyes. I felt mildly tingly as I noticed energy flowing. I asked my guides what I could do about the enrollment for my upcoming certification program. I felt that I was receiving a response. It sounded like a conversational reply to my question. The response said that I have done all I needed to do, and I should just relax, take this time to care for myself so I can be the best teacher in my ability, and let the students who should be learning with me come. It’s advice I would have given to another person had he asked me the same question, but for some reason, hearing it told to me was very reassuring. I felt myself relax. Jared came in and asked me how I was doing and I smiled at him and said just fine. He adjusted a few needles and left the room again. I tuned in again, grateful for the chance to quiet my mind. I asked what I could do to attract students more. The answer came again, sounding like I was having a conversation with someone who was always there but who I had not really noticed before. The answer was to shine my light, from the heart. I asked how to do this so it would be noticed. The answer was “intention, silly.” I liked the “silly” addition, because “intention” is a word I am always using when I’m talking about Reiki to my students. I also asked what I should do to improve my own intuitive growth. Chided again, I was answered that this meditation was an example of something I should do daily. That the intuition is there for me if I could just get quiet enough to notice. It was good advice, and resonated familiarly because I had just told my students at the Increasing Intuition workshop I taught on Monday night that meditation is the most important means to strengthening one’s intuition. More advice I should heed, of course. My acupuncture experience was really great. I felt wonderful for the rest of the day. I was also glad to have been able to share Reiki with Jared, who really enjoyed it as well. We agreed to do another exchange in two weeks, something I’m looking forward to already. Energy flows in many ways. It’s been great to experience some of the same benefits of a Reiki session in a different modality. I look forward to future opportunities with acupuncture and also whatever other chances I’ll be offered to experience different energy healing modalities. Building a local Reiki practice is hard work. It starts slowly. I’ve been expecting lots of return for lots of effort. It is coming about, but slowly. Word will spread and more students will find me. The ironic thing is that I was just called on the phone and asked if I could teach Kundalini Reiki for an associate and her client who wants to learn it. I said yes and we planned for Sunday to be the start. Then she said there was another client interested and gave me her number. I called, and that person was added. By the end of the day, I had 5 students enrolled for a class I had not scheduled or put any effort into promoting. I was left shaking my head at the humor in the Universe. Also, I’ve opened a new section of the online Energy Healing Certification Program, starting in October. You can read more about it and enroll here: reikiawakening.com/certification.html.